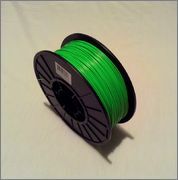 We produce some of the highest quality filament for production and hobby machines. Our materials are only made from the highest quality resins and have been proven on many different printer models. See our Special Materials page for OEMs! For large order discounts please see our "Special Materials" page. Click Here to go to our Amazon site. Copyright Filament Outlet. All rights reserved.